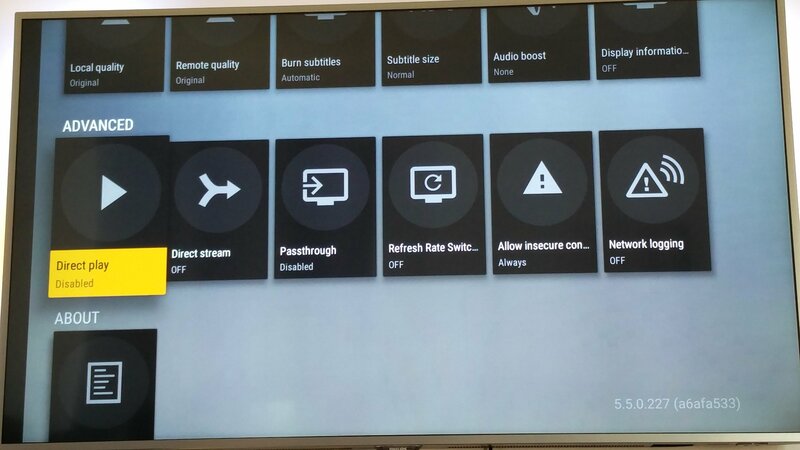 I recently bought a 55PUS6561 Philips Android TV and the first thing I did was install Plex App for Android, giving the fact that I have a full-blown media server based on Plex for my media. First video played fine, no transcoding, everything fine and dandy. Second video, just saw a couple of frames and then it froze. Audio was ok, video was not. After some digging, multiple persons have this issue, apparently it’s common on Philips Android 6000 and 7000 series on all the videos that have AC3 sound. Sadly, 90% of my videos have AC3. Until Plex makes an update for the app or something, I’ve managed to make a quick and dirty fix for it. Edit %plexdir%/Resources/Profiles/Android.xml and add the following. You will have to set “Burn subtitles” in the app to “Always” as well.